It’s a sign of our distorted times when an honest politician with integrity and strong, moral values is ridiculed for potentially becoming the next Labour leader. We’ve become so accustomed to wretched policies that we can’t see the better alternative even when it is put on a plate. Perhaps Jeremy Corbyn is too much of a shock to our system that we can’t seem to swallow it all just yet. He is the only alternative for a better Britain. And forget the term “radical alternative”, it’s simply a better alternative. All we need to do is wake up and smell the coffee – in Corbyn’s case, it would be fairtrade coffee – and realise there’s an alternative to a government based on self-interests, elitism and power. There’s an alternative to austerity which is hitting the poor and vulnerable the hardest. There’s an alternative to the dismantling of the welfare state. And an alternative to a political class only a tiny percentage of the population can relate to. Now is not the time to lose sight of the purpose of politics and government, which is, quite simply, to serve others. 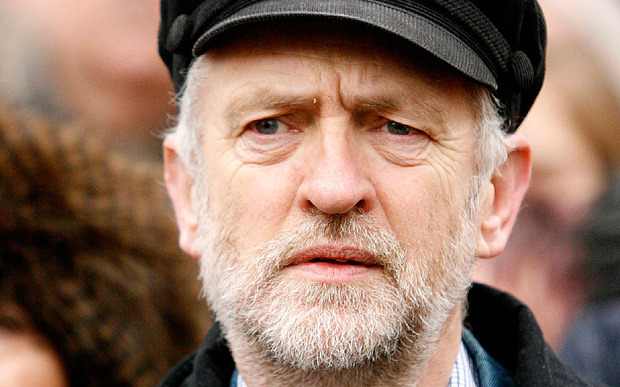 Jeremy Corbyn, a veteran MP who remains untainted by the policies that have made Labour unpopular, paradoxically, is rather unpopular among many of his fellow MPs. By reinforcing the idea that he is “hard left” or a “radical lefty”, we are helping to espouse a form of spurious propoganda which attempts to delegitimise his genuine qualities as a leader. From a distance, Corbyn resembles some kind of American independent left-wing candidate who, although enjoys a lot of support, ends in heroic failure. Corbyn, however, is not an independent candidate, he is an established Labour politician with vast experience, best described as a social democrat, and capable of causing an upset. Put to the side for a moment the left/right dichotomy and look at what Corbyn represents. The 66-year-old represents what could be a new lease of life for politics. With trust in politicians at an all time low, a Labour leadership under Corbyn will reinvigorate people’s hope in the system. It will show our generation that all hope is not lost, that politics isn’t a game or, as one popular politician told me in private, “all theatre” and that we can make our society a better place. Corbynism will inspire the younger generation –and politics is all about inspiring people – and also the elder generation. I saw a comment on Youtube earlier today of a 51-year-old man who said he has never voted before but he would vote Corbyn. A Corbyn leadership would also inspire those in the Muslim community. It would send a clear message that there are politicians who will stand up for their rights (which are rapidly being taken away by new, pernicious and draconian legislation under the amorphous term extremism), not demonise them, do everything not to take us into more treacherous, illegal wars and to work towards a safer, peaceful world free from nuclear weapons. 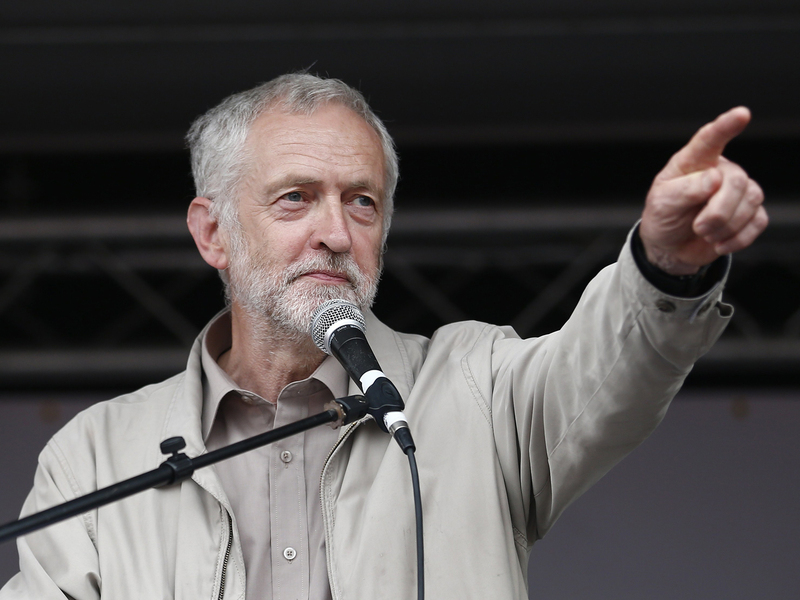 Britain, undoubtedly, will be a safer country under a Corbyn government – the Muslim extremists thinking about targeting the UK will think twice about attacking if they don’t perceive the leader as a direct enemy. People argue that Corbyn doesn’t stand a chance of winning an election (and perhaps he won’t as long as we have this mentality). But have you seen his support across social media lately and underneath pretty much every article written about him in the media (not to mention the Labour leadership polls)? Just imagine, and this is not idealism, the support he would gain from the younger, disenfranchised generation who he will inspire with his promises on axing tuition fees, the almost 3 million Muslims (of which in 26 constituencies they make up 20% of the electorate, which will inevitably rise if Corbyn ran for election), the millions of undecided or apathetic electorate, the large percentage of fickle voters and those who think he may be a good leader but don’t believe he can win. We have four years (and four years in our rapidly changing society is a long time) to change public perception. But there is something more fundamental at play. Right across the world, self-indulgent, self-obsessed, power hungry people run for leadership. This is not the case with Corbyn. He was asked, he tells us, to put his name forward by the left of the Labour party. And he accepted. Why is this important? According to Psychology Today magazine, there are two types of power. There is socialised power and individualised power. The first type, is used to benefit others, whereas the second is using power for personal gain. How many Prime Ministers from Churchill to Cameron have genuinely cared about the wellbeing of our global citizens in far, remote parts of the world, or even the very minorities within our country we are supposed to look after? Not many. Corbyn clearly does. A low-expense claiming vegetarian, who has refused to send his children to grammar schools, doesn’t own a car and replies with straight forward, sometimes one word answers to questions, Corbyn is no fraud. But this is more than a case for Corbynism. This is about – and excuse the platitudinous language – creating a better, fairer and more peaceful world, which only a Corbyn government will likely pursue. If you want to see our country foster better relations with the very countries we’ve bombed and mutilated, become a global player for peace and not target and discriminate against the vulnerable and marginalised in the UK, we must support Corbyn. This is no light matter. There’s 50 days until the Labour leader is announced. This is not hyperbolic language, but the very existence of our planet hinges on these decisions.